Your Interior or Exterior house painting quote will be exact, detailed and include written explanations of the different stages in the painting that your home will need to look great and last a long time!. There are many different types of paint failures: Interior paint failures and Exterior paint failures, Aardvark Painting Inc has the solutions and we use only the finest materials that environmentally safe Green Paints that will make sure your paint job will look new and last for a long time. All wall hangings, computers, window treatments, appliances, valuables and furniture will need to be moved by the customer prior to the painter’s arrival. (your contract will detail this if necessary). Aardvark Painting Inc. will assist with large furniture or appliances at the customer’s request. 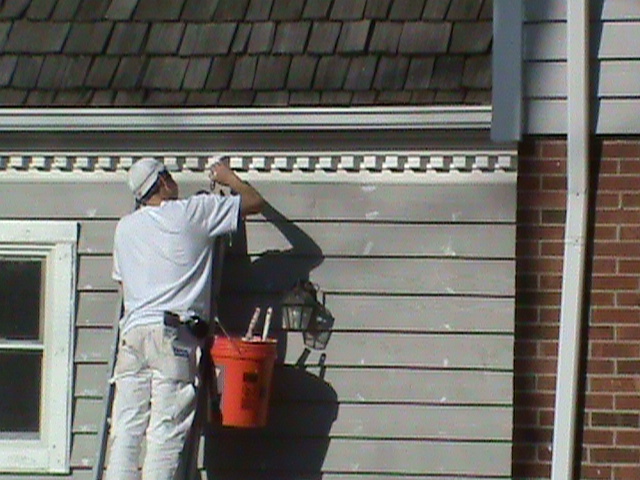 We will protect your home with plastic, drop clothes, tarps, and painter’s tape and as required. landscaping may need to be trimmed and adjusted to provide access to your homes exterior. (your contract will detail this if necessary). All minor drywall repairs will be fixed prior to painting. Dings, dents, nail holes, and nail pops will be patched, sanded, primed and smooth prior to painting. All supplies and equipment will be stored in a designated area per your approval and all working areas will be cleaned up at the end of each working day. Any extra work will be discussed with the owner and agreed upon before any extra work takes place. ( Extra work will have a change order and be added to the original contract).